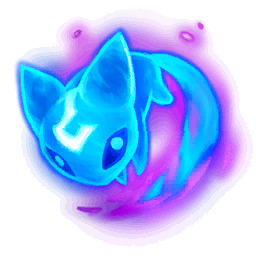 Your attacks and abilities send Aery to a target, damaging enemy champions or shielding allies. Aery cannot be sent out again until she returns to you. Hitting an enemy champion with an ability permanently increases your maximum mana by 25, up to 250 mana. After reaching 250 bonus mana, restore 1% of your missing mana every 5 seconds. While above 70% health, gain an adaptive bonus of up to 18 Attack Damage or 30 Ability Power (based on level). Grants 1.8 Attack Damage or 3 Ability Power at level 1. Your next damaging ability hit sets champions on fire dealing 10 - 30 bonus magic damage based on level after 1s. You get free Slightly Magical Boots at 10 min, but you cannot buy boots before then. For each takedown you acquire the boots 30s sooner. Slightly Magical Boots give you an additional +10 Movement Speed. Biscuit Delivery: Gain a Total Biscuit of Everlasting Will every 3 mins, until 12 min. Biscuits restore 15% of your missing health and mana. Consuming or selling a Biscuit permanently increases your mana cap by 40. Manaless: Champions without mana restore 20% missing health instead. Consuming a potion or biscuit grants 50% of its health or mana restoration immediately, but puts that consumable on a short cooldown. In addition, gain 5% Movement Speed while under their effects. Cooldown: equal to the duration of the consumable. Every 10 min gain AP or AD, adaptive. 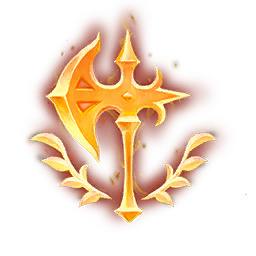 Attacks or spells that deal damage to an enemy champion grant 2-6 Adaptive Force (based on level) for 2s (8s for melee). Stacks up to 5 times. When fully stacked, 10% of your damage is converted to True Damage and you heal for that amount. Takedowns restore 12% of your missing health and grant an additional 20 gold. Gain 3% attack speed plus an additional 1.5% for every Legend stack (max 10 stacks). Earn progress toward Legend stacks for every champion takedown, epic monster takedown, large monster kill, and minion kill. Deal 8% more damage to champions who have less than 40% health. Gain 0.6% life steal for every Legend stack (max 20 stacks). Gain 5% tenacity plus an additional 2.5% for every Legend stack (max 10 stacks). Deal 5% - 11% increased damage to champions while you are below 60% health. Max damage gained at 30% health. Heal when you damage an enemy champion. Heal for a percentage of the damage dealt by your abilities. Healing: 1.5% + 2.5% per Bounty Hunter stack. Bounty Hunter stacks are earned the first time you get a takedown on each enemy champion. Healing reduced to one third for Area of Effect abilities. Gain 10% CDR when you reach level 10. 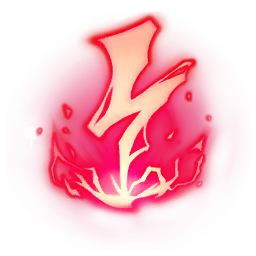 Each percent of CDR exceeding the CDR limit is converted to an adaptive bonus of 1.2 Attack Damage or 2 Ability Power. Hitting a champion with 3 separate attacks or abilities within 3s deals bonus adaptive damage. Damage: 30 - 180 (+0.4 bonus AD, +0.25 AP) damage. Collect eyeballs for champion takedowns. Gain an adaptive bonus of 1.2 Attack Damage or 2 Ability Power, per eyeball collected. Upon completing your collection at 10 eyeballs, additionally gain an adaptive bonus of 6 Attack Damage, or 10 Ability Power. Collect 1 eyeball per champion takedown. When your wards expire, they leave behind a Ghost Poro, which grants vision for 60s. Nearby enemy champions scare the Ghost Poro away. Gain an adaptive bonus of 1.2 Attack Damage or 2 Ability Power for every Ghost Poro spawned, up to 10. After spawning 10 poros, additionally gain 10 adaptive force. Powered by the Official League of Legends API. Copyright 2018 Mid or Feed.All Rights Reserved. MidOrFeed isn't endorsed by Riot Games and doesn't reflect the views or opinions of Riot Games or anyone officially involved in producing or managing League of Legends.